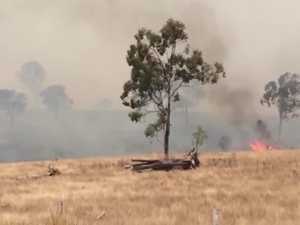 THE Woolooga fire continues with two water bombers called in to contain the blaze. News Gympie officer reflects on three days of carnage, commends crews for teamwork. News PHIL and Julie Bedford have been Woolooga residents for 40 years, but they have never seen anything like the bushfire that came within inches of their home. 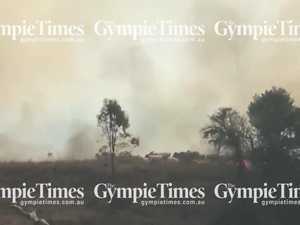 News Whilst fire crews are working to contain the Woolooga blaze, The Gympie Times were on scene talking to farmers. Have a look at some of the footage taken.